The Tibetan Homes Foundation was established in 1962 under the direction of His Holiness the Dalai Lama. The school works to preserve traditional Tibetan skills and knowledge. Many of the students had to travel by foot over the Himalayas to Nepal and on to Mussoorie, India, sent by parents whose hope was that their children might receive a better education and a chance to preserve the traditions of Tibetan culture that was so threatened in their homeland. Each girl in the dormitory room has her own personal shelf space. This is Llama's altar with an image of the Dalai Lama, spiritual leader of Tibet. This collection of work, created in the fall of 1999, is the result of the collaborative efforts of photographers Barbara Goodbody and Donna DeCesare paired with poetry written by the students of the Tibetan Homes School in Happy Valley, Mussoorie, India. “The abiding promise of poetry, its dumb hope in a world of jarring lunacy: that a single image, a couple of lines, can penetrate, can strike a note of such beauty and honesty that we simply stop. We stop and listen. We grow quiet. And, more deeply now, we listen again." 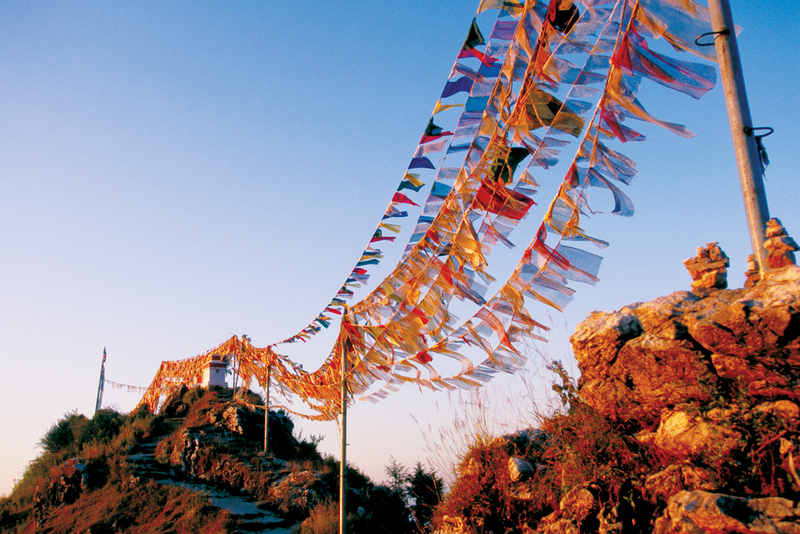 Prayer flags - which serve as reminders of compassion in meditation - inspire this wish: May whoever is touched by the wind that blows upon these flags find happiness and be free from suffering. A great feeling came into my heart. of unity among our students. We all share our light with one another. I once again feel that great peace we want.